After several years of rising, California home prices began to fall in the third quarter (Q3) of 2018, continuing in Q4. Despite falling on a monthly basis, home prices remain 5%-7% higher than a year earlier due to rises experienced earlier in 2018. As prices begin to trend down, they will need to fall further still to be brought in line with homebuyers’ ability to pay. This tendency is reflected in the mean price trendline, which ties home prices to homebuyer incomes. In 2019, the Federal Reserve is continuing their process of raising interest rates to cool off the economy and induce a business recession, which experts forecast to arrive in 2020. All of this action is expected to continue to pull prices down toward the mean price trendline in 2019 and 2020, bottoming in 2021. 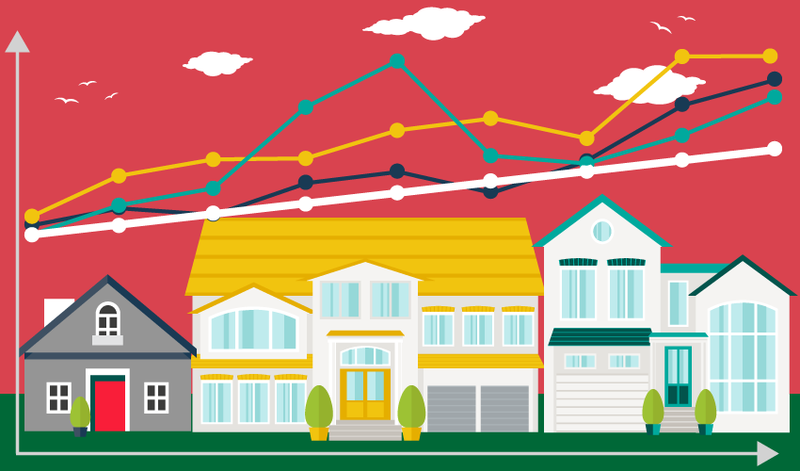 Once prices fall from their current peak, the next price peak will occur in the years following 2022 when homebuyers and sellers return to the market in the recovery from the 2020 recession. Updated January 8, 2019. Original copy posted December 2011. The black, orange and green lines track sales price fluctuations within the three single family residence (SFR) tiers in California’s largest cities. The dashed lines are first tuesday’s home price forecast. The blue line is the mean price trendline. The mean price trendline represents the historical equilibrium level to which property prices cyclically return. Grey bars indicate periods of recession. A comparison of current prices with the mean price trendline tell us how far prices have deviated from their historical norm, and the level prices will return to in the years ahead. My house is worth how much? A property’s value seems to constantly change based on local market conditions. Is there any way to measure a property’s innate dollar value over time? Indeed there is — by using the mean price trendline. Boom periods are times of economic plenty. Sellers of property happily embrace them as prices skyrocket to produce excess profits on a sale. Builders rush in. Boom-time markets, flush with cash and rising real estate prices, become momentarily untethered from historical price trends. During these short-lived virtuous cycles, sellers and seller’s agents dominate real estate transactions. The momentum and volatility of boom times appear strong on balance sheets. But they rarely last long. Eventually, sales volume evaporates, and prices dip. The boom slips into a bust, a process known as the vicious cycle. Neither a boom nor a bust is sustainable in the long-term. They are, by their nature, short-term divergences. As such, they’re an unfit measure of long-term stability. However, as the booms and busts create their peaks and valleys, a trend develops between them. This is the mean price trendline for real estate. Through the turmoil of booms and busts, prices repeatedly return to the mean price. Mean pricing is dictated by the path of consumer inflation, as measured by the Consumer Price Index (CPI) in California. 1. The CPI affects the fundamental measure of a property’s value: the replacement cost. 2. The CPI also reflects the changes in costs of other goods. To compensate for these increased costs, employers typically increase staff income in step with the CPI. As a potential homebuyer’s income increases, so does their purchasing power through their capacity to borrow money. In the long-term, housing prices will fall back to prices dictated by replacement costs (reflecting the price of the property) and income (the ability of the homebuyer to buy). Thus, the mean price trendline represents the long-term value of property at any point in time, adjusted for consumer inflation. The mean price trendline is the benchmark to which prices return after a boom or bust. The big picture of California price movements can be understood by viewing the disparity between low-, mid-, and high-tier sales. These tiers vary based upon our population’s housing demands. To best present a statewide view of price movement, we look to California’s three largest metropolitan areas: Los Angeles, San Francisco and San Diego. Each area’s sales prices are then segmented into three price tiers; low, mid and high. Homes sales classified by price range show a clearer picture of how prices move in each tier of the market over time. Each tier’s pricing accelerates and decelerates at significantly different degrees. Typically, pricing in the high-tier does not fluctuate as much as in the mid- and low-tiers. When home pricing is momentarily level with CPI, this crossover moment is akin to passing over the equator of a pricing sphere. You leave the buyer’s market and enter the seller’s market. Seller’s markets are periods in which prices exceed the mean price trendline. During these periods, sellers realize excess profits on the sale of their homes. In turn, families who enter the housing market as buyers overpay. Of course, if the real interest rates on a fixed rate mortgage (FRM) is below 2.5%, a low nominal interest rate of say 3.5% will compensate for some excess price over the life of the loan. Cheap money allows for payment of a higher price – simple buyer purchasing power. However, this calculation only works if you do not sell for a decade or two. Yet, once market prices reach that crossover moment at the mean price trendline, market prices do not hold stable. As has always been the case, irrational exuberance, lax lending regulation and irregular monetary policy, all cause sales prices and the mean price to diverge after they cross paths. They are driven apart as though pushed by polar magnetic force. A quick review of the recent past is needed to move understanding forward. 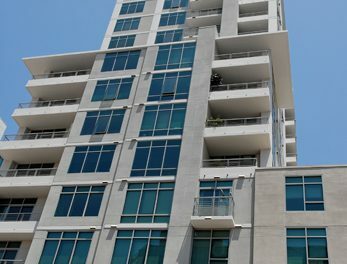 Prior to 2000, California real estate began experiencing the formation of a long-term pricing bubble. The experience commenced during the stagflation years of the late 1970s. These years saw the highest interest rates experienced since the creation of the Federal Reserve (the Fed) in 1913 to manage such things. A 30-year bubble grew with the Baby Boomer (Boomer) invasion of the 1980s and 1990s. The period started with mortgage rates receding from the peak 18% range to a more normal 6% range. Eventually, rates moved to essentially zero. The unrestricted expansion of the bubble caused its implosion in 2005 when home sales volume began a steep decline. Predictably, home prices followed one year later. The mean price of property once again came into stark view. interest rates increased by the Fed to fight consumer inflation beginning in August 2004. Despite the resulting price decrease, home prices have yet to correct sufficiently to dip below the mean price trendline. Prices in the late 1980s reverted to the mean price trendline after the July 1990-March 1991 recession. Between 1991 and 1999, prices were depressed and the cost of property was low, from a historical perspective. Accordingly, prices dipped below the trendline during this period. This condition is known as a buyer’s market. Prices began to rise in 1997, growing to intersect the mean price trendline in 2000. At that time, the price index and California Consumer Inflation index were, for a fleeting moment, at the same price point: the crossover moment. After crossing the mean price trendline in 2000, real estate prices were allowed to begin a skyward trajectory. The 2001 recession was short-lived due to the monetary and fiscal reaction to September 11, 2001. As a result, the price of homes froze in 2001 at their artificially elevated, pre-recession peak. Instead of reverting to the mean price trendline, prices leveled out. Similarly, speculators can only pull profits on a flip going into or in a heated market. Speculators need market momentum to profit. For them, prices must be fast headed above and away from the mean price trendline. On the flip, excess money is siphoned from the real estate market, as the flipper quickly unloads their properties at ever-greater prices. After 2000, prices continued to rise on going into a steep trajectory. This period is now known as the Millennium Boom. Real estate prices peaked going into 2006, then began their precipitous decline. Now, the mean price trendline does not set the price of real estate. It sets the amount of change in a property’s price based on the fundamentals of homebuyer income. Similarly, consumer inflation does not directly affect home pricing, but it does affect how prices increase. In other words, as its name implies, the mean price trendline sets the trend for change. So, what is the realistic, organic value of a particular parcel of improved real estate? Fundamentally, the organic value of a property is anchored to its replacement cost, not its existing fair market value (FMV). Most typically, FMV is set based on a very short window period of recent comparable property sales, known as comps. Comps merely buttress the price point in current sales activity, whether dominated by highflying momentum prices or recessive foreclosure and real estate owned (REO) prices. Thus, an appraisal based solely on comps is not helpful to a buyer when determining a property’s organic dollar value for long-term ownership. However, the mean price is. 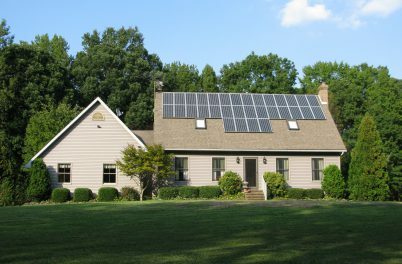 Replacement cost is the actual cost of replacing the property’s improvements, adjusted for the degree of depreciation, obsolescence and deferred maintenance experienced. In appraisal vernacular, this is known as the replacement cost approach to valuation. external influences unrelated to the physical property, its amenities, location or the demographics of users for the property. Roughly 75% of a property’s value comes from its improvements at the time of construction. The remaining 25% derives from the land it is situated on. The cost of construction (labor and materials) to replace the property should the existing structure be destroyed will only grow at a pace consistent with consumer inflation, no more. The cost of labor and materials are at the very core of consumer inflation measures. Thus, the purchasing power of the dollar is the year to year measuring stick used for dollar-denominated assets. The price of land can increase beyond the rate of inflation due to local growth in population density. Also affecting the price of land is any increase in that population’s income beyond the rate of inflation. Increases in price due to demographics are a function called appreciation in value, not inflation. This increased end user or homeowner demand for space in one location reflects the inherent desirability (and hence price) of raw land, but not the cost of improvements. Also, the discovery of precious materials under or flowing through a parcel of land increases its value. However, such “Eureka!” discoveries are rare in modern California. Thus, houses are just aggregates of land, labor and materials — the dollar cost of which is the replacement cost approach to valuation. The cost approach limits the price to be paid if comps and income approach methods suggest a higher price. Prices reversed course beginning in Q3 2018, and this downward action will continue in 2019. This is due to a number of related factors, including the downward pressure of rising mortgage interest rates which qualify homebuyers for shrinking principal amounts. first tuesday forecasts prices will continue to decrease until bottoming around Q1 2021. The next big peak in prices won’t be until after 2022. These will be the years of the Great Confluence, when Baby Boomers and Gen Y hit California’s urban cores. Gen Y will flood into both rental and homebuying markets, whereas the Boomers will focus their energies almost solely in homebuying. 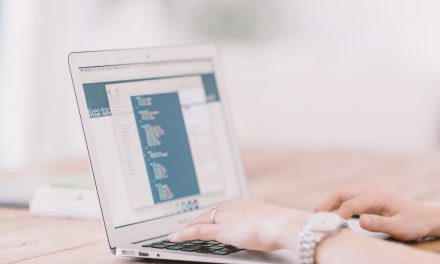 Adaptable agents will pursue the long-term and recession-proof occupations of income property management, residential income sales and mortgage financing (private or institutional). These are each consistent moneymakers as they survive turmoil. People always need shelter and someone to arrange it. Does power of attorney trump HOA bylaws excluding non-owners from participating in meetings? Valuable analysis . I loved the information , Does someone know if I can get a sample CAA Form 3.0-R example to fill out ? Thank you for your inquiry. RPI publishes an Application To Rent Form 553. You can download the form here or from our forms download page. Thanks for the many fine first tuesday articles. You folks are extraordinary. I’m no longer a CA broker, no longer even living in CA, but I read you religiously and do share, with credit. Absolutely. You are encouraged to share this information and all other articles, with credit given to first tuesday Journal Online. Also, if you are not already a subscriber, feel free to sign up for our weekly newsletter which includes statistical updates, FARM letters and other information tailored for you to share with clients. Sign up here. in Real Estate should see as to what the future might hold. Do I have your permission to share this information with my clients? I think that the real estate market has much further down to go beyond 10%-15% in price and in market psychology. 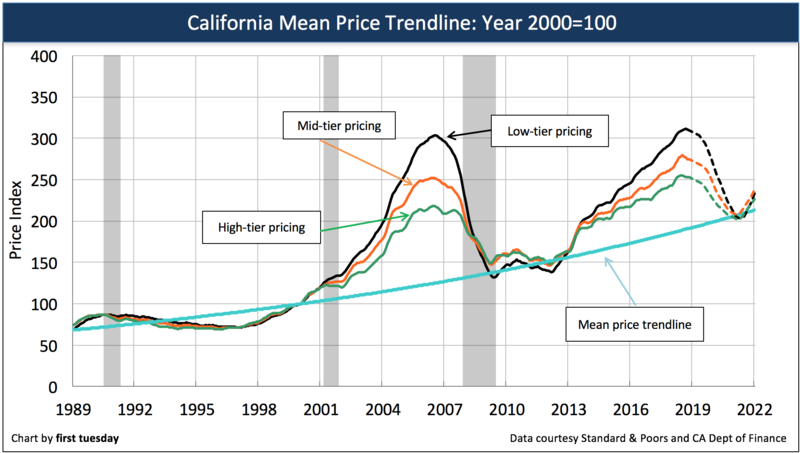 If you look at the chart by Dr Jean-Paul Rodrigue’s, economist at Hofstra University, of the main stages of a bubble it is very close to the chart you show of CA home prices, up to the present. The bubble ends with the current blow off Stage. The last part involves capitulation and then at the bottom despair. Were not there yet. We have been to Ca real estate will never go down. The opposite extreme is it will never go up. Not even close to there yet. There is a consensus now that the bottom is in sight, not capitulation and not despair. Also from the chart of the Bubble Theory, the bottom occurs below where the bubble started. That would bring prices below 1997 prices. Such a move would be certain to elicit capitulation and despair.